Set up shop on any New York corner in Midtown, Soho or the Financial District during morning rush hour, and you’ll quickly get an idea of what constitutes a New Yorker’s typical breakfast. Here’s a hint: shrink-wrapped bagels and bruised bananas usually reign supreme. But it needn’t be this way. In a hectic world, everyone deserves to stop and smell the coffee every once in a while. 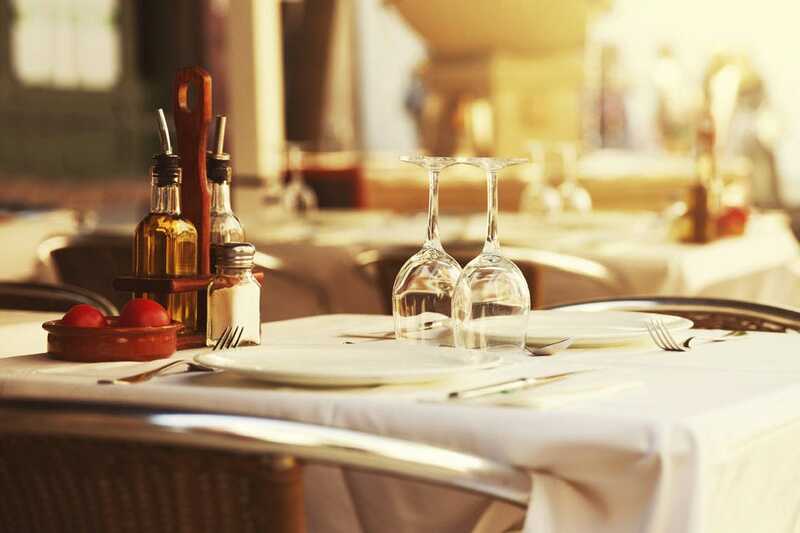 There's something decidedly different about an early morning rendezvous over a plate of bacon and eggs, a business meeting over a basket of fresh-baked muffins or a serene hour scanning your smartphone while someone else toasts your English muffin. And aside from the decadence of dining out for the most important meal of the day, weekday breakfast is also a great opportunity to snag a table at a popular weekend hang without waiting for hours or elbowing through the hungover hipsters in sunglasses. 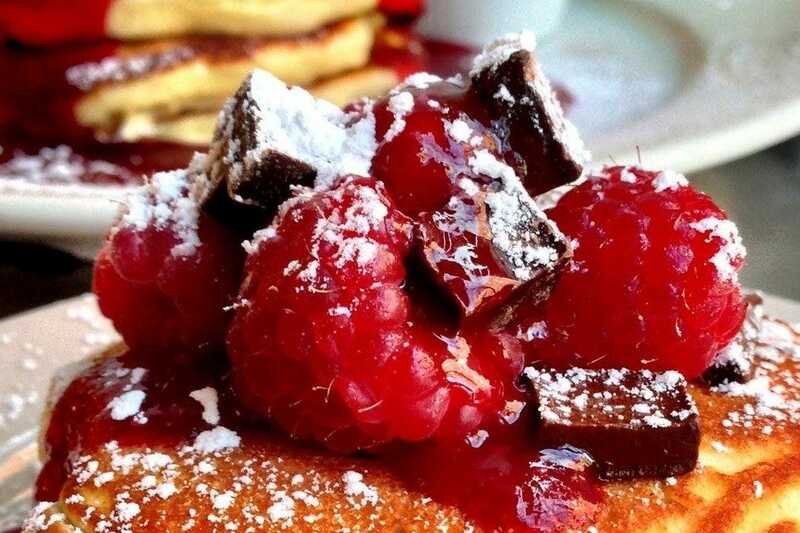 So go ahead and saunter up to egg without putting your name on a wait list the length of the Williamsburg Bridge, or take your time as you ponder the menu at Clinton Street Baking Co., though trust us - you should go with the pancakes. In no shape to choose a restaurant before your first jolt of caffeine? No worries. Below, we’ve pulled together a list of some of the most iconic city spots for you to peruse. New York is the land of the bagel, but what about the bialy? Maybe you've never even heard of a bialy, the bagel's Polish cousin. Unlike bagels, bialys are baked instead of boiled and have a depression in the middle (often sprinkled with fresh onion) instead of a hole. 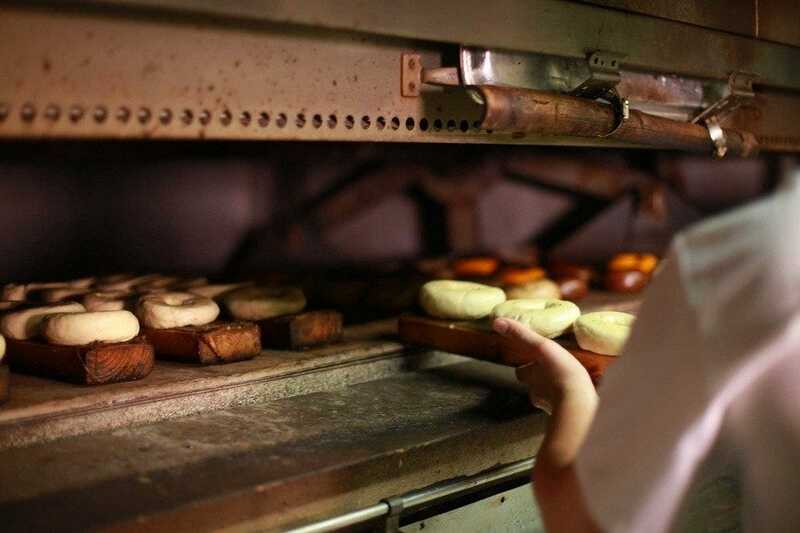 If you're looking for a place to try one, Kossar's Bialys in the Lower East Side is the place to go. 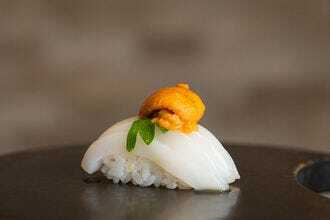 Opened in the 1930s, Kossar's changed ownership in early 2014 and things have only improved since then. 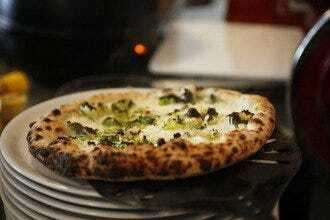 Bakers here still hand form each and every precious dough ball before baking them in a brick oven. The result is chewy, yeasty and delicious, just how Bubbe would have remembered. You may have heard about The NoMad's famous chicken for two, but far less talked about is the hotel restaurant's top-notch breakfast. With plush velvet chairs and polished tables beneath a vaulted ceiling, it's the perfect place to wake up to the day, as the light streams down to the lucky early risers. The side room, or parlor, is no less dramatic, with rosy tones and rows upon rows of framed line drawings. The best part of dining here for breakfast is that you won't have to fight the throngs of people who congregate in the bar and library in the evenings. Instead, enjoy a leisurely meal, followed up by a tea in the library. 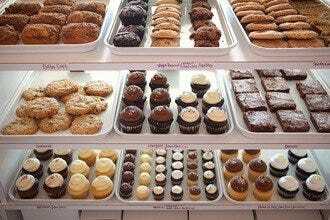 Supplied with the freshest ingredients from nearby Union Square Farmer's Market, this wonderful American bakery specializes in all of the good stuff: scrumptious scones, marvelous muffins and an array of buttery baked goods. The loft-like, balconied dining room is a great place to watch people as they swarm the horseshoe-shaped bakery counter below. 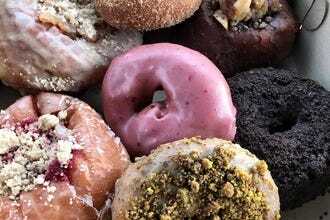 Chances are they're after one of two things: a chewy, salty and stretchy pretzel croissant or a cup of thick, molten hot chocolate - City Bakery is known city-wide for these signature items. Ordering one, or both is probably one of the best ways to start your morning off with a smile. 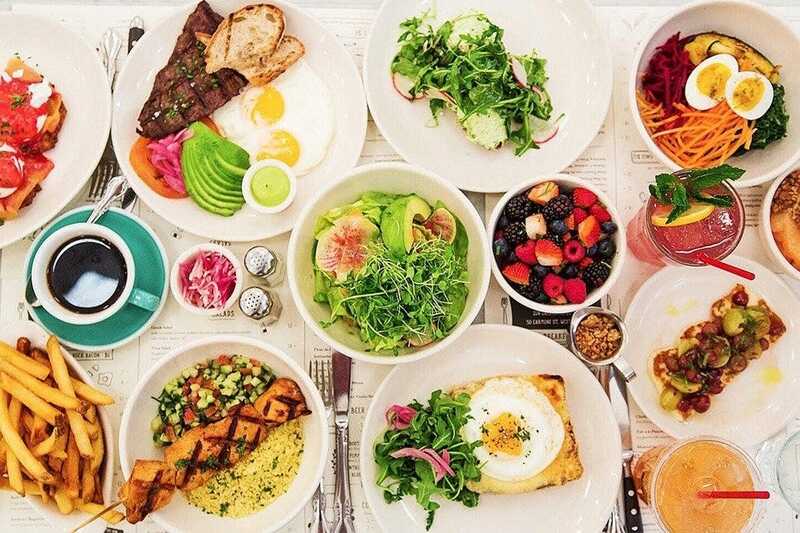 Located on North 3rd Street in Williamsburg, egg opens at 7 AM midweek and 8 AM on weekends, but good luck trying to snag a seat during prime brunch. 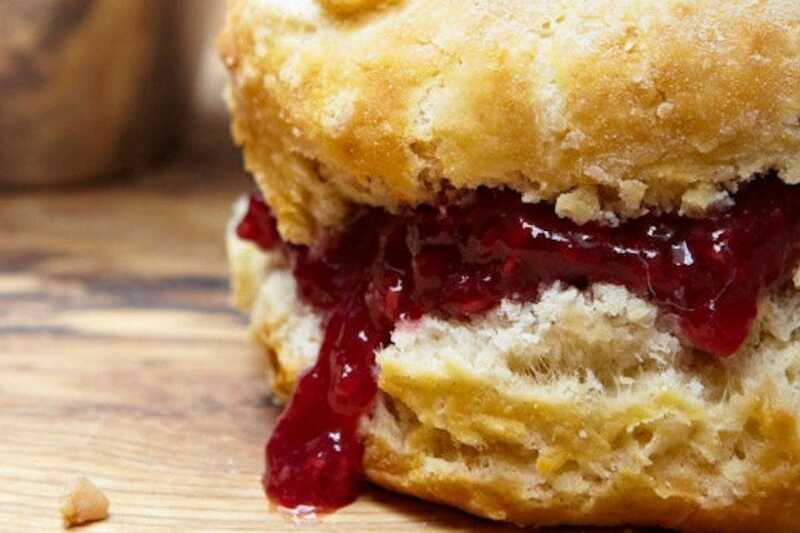 No matter - let the hordes of locals descend on Saturday and Sunday, while you relax with your homemade buttermilk biscuits and sawmill gravy during the week. With a lean toward sustainability and food consciousness, you can order the aforementioned with either pork sausage or pan-seared mushroom gravy, and egg even cultivates its own farm called Goatfell in upstate New York. Over 100 varieties of fruits and veggies are sourced directly from the farm before they find their way to your plate. A popular dinner joint with the downtown crew, Jack's Wife Freda also dishes up a mean breakfast menu that mixes Mediterranean influences with American favorites. Order up the rosewater waffle with Lebanese yogurt, or opt for the green shakshuka, baked eggs floating in a flavorful spinach sauce with a side of challah toast. On busy mornings, you may have to get a little cozy with your neighbors - though this small space is flooded with sunlight, it packs 'em in with family-style seating. But don't worry too much: that just gives you a chance to spy on everyone else's order before putting in your own. 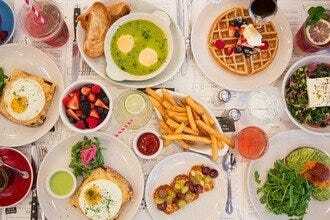 Heralded as the best brunch in the city by multiple media outlets and New Yorkers, Clinton Street Baking Co. holds up to the hype. 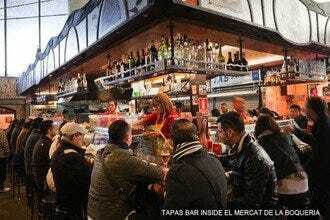 Hungry locals and visitors travel from all corners of the city (and the world!) to eat Chef Neil's blueberry pancakes, served with warm maple butter. But that's not all that's on the menu. Just as delectable as the stacks are the morning egg dishes and omelets, made even more delightful as ingredients are sourced from local farms and neighbors. 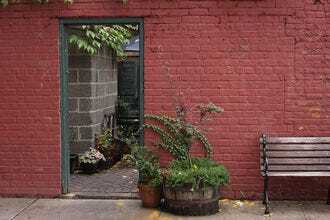 Conde Nast Traveller calls this quaint Lower East Side cafe "Mayberry in Manhattan." You'd be hard pressed to find anyone who disagrees. Lafayette - sister restaurant of other foodie faves, including The Dutch and Locanda Verde - takes the traditional American breakfast and gives it a high-end French twist. Eggs and hash browns become fresh farm eggs with pommes de rôtisserie and benedicts get served on brioche, or perhaps with a petite salade. 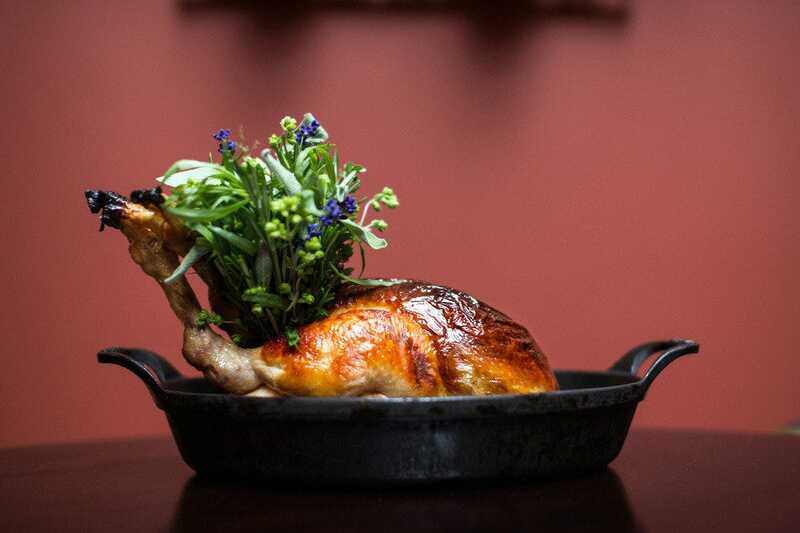 Regardless of the pronunciation, the food here is beautifully refined and served up in a luxurious, window-walled bistro on the corner of Lafayette and Great Jones Street. Come here if you're feeling the itch to jump on a plane and escape to an elegant Parisian playground before the clock strikes noon. 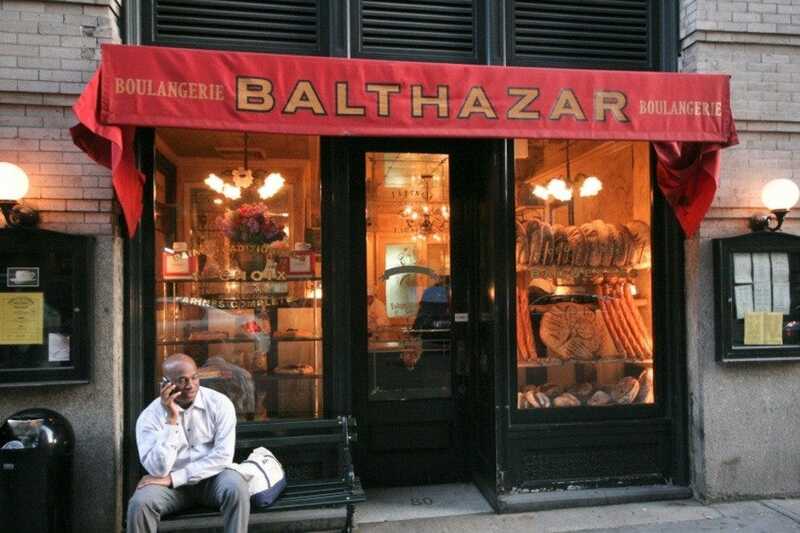 Balthazar oozes a cool vibe that's impossible to replicate. 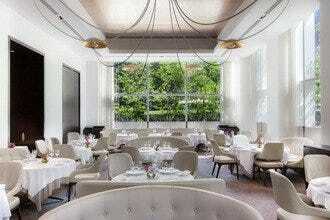 Perfectly positioned on a Soho corner, this is the breakfast spot of the rich and famous. 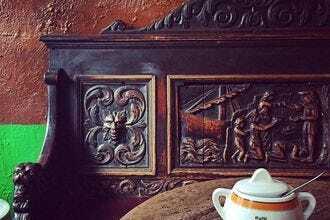 It's not uncommon to spot a celebrity, and of course, the food is divine. 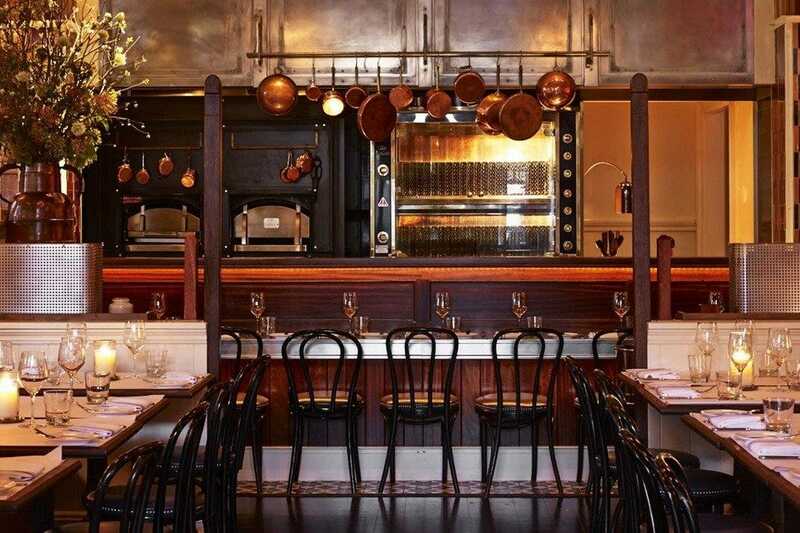 Billed as a French brasserie, the energy is something else entirely - not quite New York, not nearly Paris. Instead, it feels like its own little world, a hideaway for anyone who's in on the secret. Plan to take plenty of time for people watching while you delicately eat your soft-boiled egg or indulge in something more sinful like the sour cream hazelnut waffles. 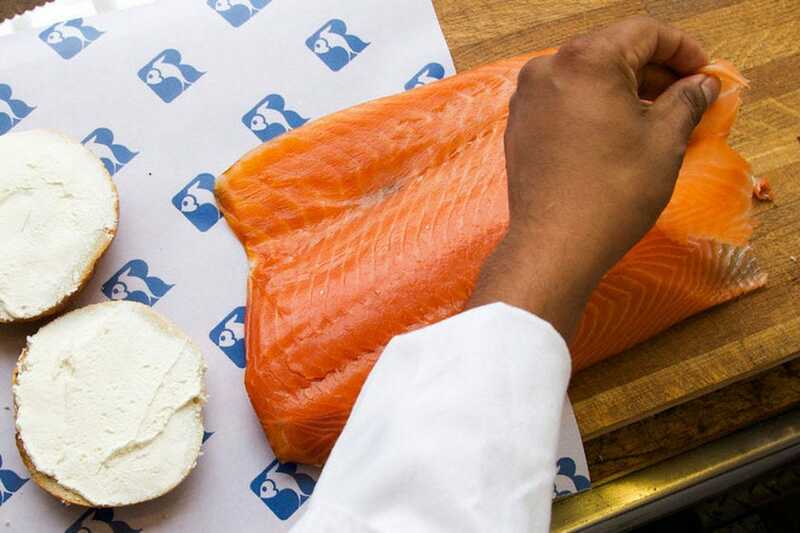 Opened in 1914, Russ & Daughters still resides in its original location on Houston Street in the Lower East Side. A New York staple, the teeny shop is known for its fish, specifically its bagels and smoked salmon (lox). Topped with a schmear, these are the bagels that New York is known for: oversized, overstuffed, and indescribably delicious. While it's this location that carries on the old-school vibe and dying tradition of the Jewish deli, you should be aware that there isn't any seating. 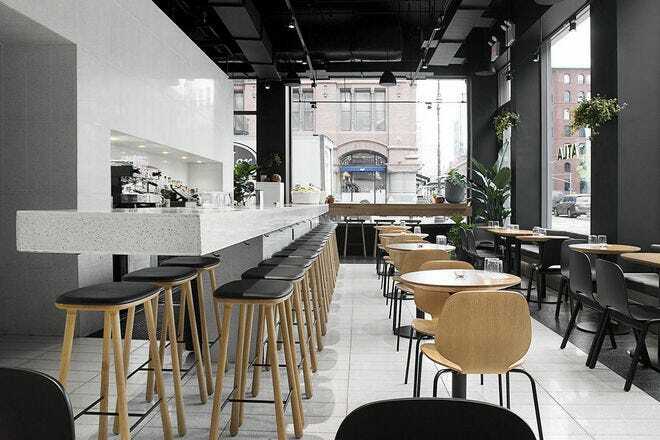 If that puts a cramp in your style, have no fear: the family has opened a cafe - complete with the same smoked fish classics, plus platters, eggs and matzo ball soup - just around the corner at 127 Orchard Street. Cookshop is where you breakfast when you're feeling a little fancy. This corner spot is bright and airy with high ceilings and plenty of sidewalk seating that's actually accessible during the week. The menu leans heavily on fresh greenmarket fare, with dishes like the huevos rancheros with three baked eggs and lime creme fraiche, or the Finger Lakes grass-fed beef burger. For the table, you'd be remiss in skipping the spiced apple beignets, stuffed with Di Palo's local ricotta and served with apple sauce. Afterward, stroll along the High Line through Chelsea, pausing to reflect on the incredible life decisions you've made that have led you to this point.